We didn’t want this to be a city, state, or regional affair. This isn’t for any subset of teachers, be it rural, urban, or suburban, to the exclusion of the others. We wanted this to be out of most everyone’s home turf so that participants are taken out of their day-to-day routines to focus on reflection and learning. We wanted a place to stay, to eat, to explore. A destination in itself, yet accessible enough by car and/or plane. We also wanted space to gather and also proximity to activities while keeping costs low. We found a natural partner in the Southwest Center for Educational Support at Keene State College. 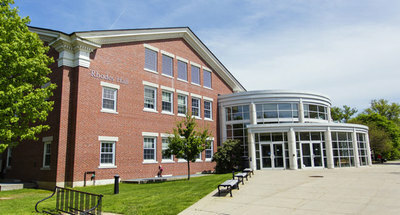 Keene State, founded in 1909 as a Teacher’s College, and the Southwest Center for Educational Support, are dedicated first and foremost to helping educators succeed to the benefit of their students. 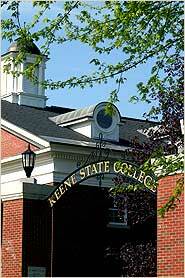 The first New Teachers Retreat will take place at Keene State College on July 14-16th. Participants will be housed in the new Living and Learning Commons on campus. Many sessions will take place in Rhodes Hall on campus. With nearby Mount Monadnock, numerous trails, ponds and lakes, and an attractive downtown, we have successfully held our first two retreats in Keene, NH. We’ll house participants in the brand-new Living and Learning Commons and provide meals throughout the retreat. We think this location lends itself to a nice balance of work and life.